BURN!!!! 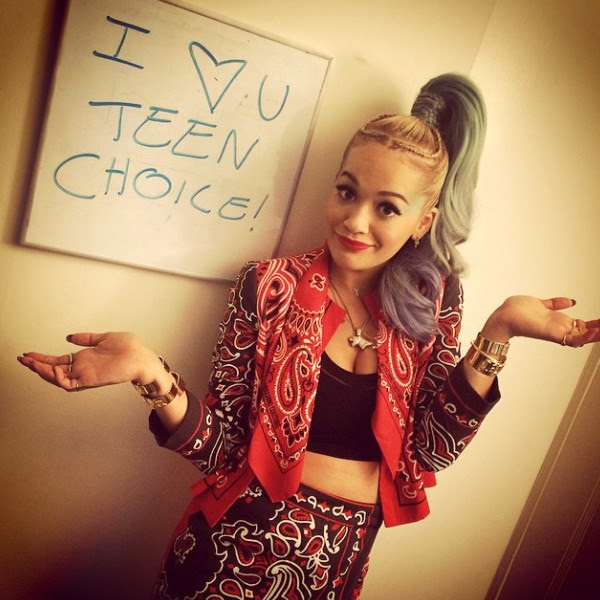 So Rita Ora was suuposed to perform at the Teen Choice Awards and she pulled out last minute…tweeting out “Guys I am so sorry. I will make it up to you. I promise. I’m devastated. I love my fans,” with no further explanation. NOW we know what happened. She was going to perform a song called “I Will Never Let You Down” a song that her x boyfriend Calvin Harris wrote for her. She was practicing for over a WEEK and at the last minute he DECLINED permission for her to perform it!! EEEEEK! I guess that’s what happens when you cheat on him with Justin Bieber. Is that immature or does she deserve that?? ?